To obtain a full driver's licence you must progress through the stages of the Graduated Licensing Scheme. You start the process by obtaining a learner's permit. You must be 16 years or older before you can apply for a learner's permit. To obtain a learner's permit, you must provide full evidence of identity and pass the theory test. A fee is payable for each attempt. If you allow your learner's permit to expire for more than 12 months you will be required to sit the theory test again before the permit can be re-issued. 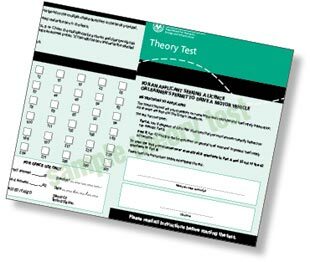 The theory test can be taken at any Customer Service Centre, listed on the inside back cover of this booklet, or remote country police stations. The theory test is based on the road safety and road rule information provided in this handbook. Theory tests can be conducted in languages other than English. If necessary, an interpreter is provided free of charge to applicants taking the test in a language other than English for their first attempt (You are required to pay for an interpreter on subsequent attempts). The computer based test is available in Simplified Chinese, Kirundi, Vietnamese, Arabic and Afghan Persian. 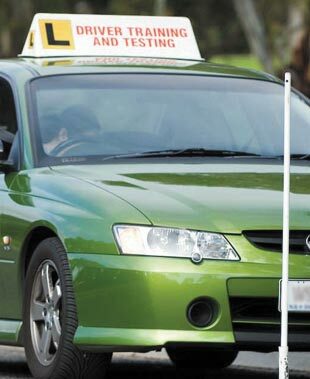 Proof of age, address and identification documents must be presented at the time of sitting the theory test. Bookings are required for theory tests held at Service SA. Telephone 13 10 84 for further details. On passing the theory test and payment of the learner's permit fee, you can obtain a learner's permit that will allow you to drive for two years under 'learner's permit conditions'. Learner's permit holders can learn to drive in a High-powered Vehicle because they are required to be supervised by a Qualified Supervising Driver at all times. Learner's permits are issued subject to conditions. If you breach a condition you will lose your learner's permit and be disqualified from driving. This is in addition to any other penalty. The following laws also apply to the holder of a learner's permit. If you breach any of these laws you may incur penalties such as fines, demerit points or loss of licence. holders of a motorcycle learner’s permit must not lane filter. The minimum size for the 'L' plate sign is defined in this diagram. The sign must be displayed and clearly visible from the front and rear of the vehicle (rear only for motorcycles). 'L' plate signs must not be displayed when the driver of the vehicle is not a learner driver (except a licensed Driving Instructor driving to or from a lesson). 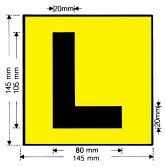 'L' plates must have the letter 'L' painted in black on a yellow background. The theory test consists of road safety and road rule questions with multiple-choice answers. This is a selection of the types of questions you will be asked. You will need to read these sections of the handbook carefully to help you pass the theory test. Practise the learner's theory test. Which of the following vehicles are allowed to overtake across the lines on the centre of the road? Vehicles 2 and 3 only. Vehicles 1 and 2 only. You are a driver who is about to move off from the kerb into a flow of traffic. What must you do? You must signal for a reasonable time and give way to all traffic. You must signal for at least 5 seconds and give way to all traffic. You must signal for at least 2 seconds and give way only to traffic travelling in the direction you wish to go. You only have to signal for 2 seconds if there are other vehicles travelling on the road which may be affected by your manoeuvre. You are a driver waiting in the right lane at an intersection at the stop line where there are traffic lights. You are faced with a green circle and a red arrow. The red arrow goes out. What should you do? You should remain behind the stop line and wait until the green arrow appears again before you complete the right turn. You should wait behind the line until the green circle changes to yellow and then move into the intersection and complete the right turn, if it is safe. You should enter the intersection and wait until it is safe to complete your right turn. What is the closest distance you may park on the approach side of a children's crossing? must present yourself to a Police Officer of Police Station within 90 minutes after the crash and as soon as practicable provide notice to the Compulsory Third Party Insurance Claims Manager. The holder of a learner's permit must not drive a motor vehicle (unless the motor vehicle is a motorcycle) on a road unless accompanied by a qualified supervising driver who supervises and instructs the learner in the safe and efficient driving of the motor vehicle (including during parking practice). If you hold a learner's permit for a motor cycle and you are under 25 years of age and do not hold a P2 or full licence for another class of vehicle must not ride between midnight and 5AM unless a qualified supervising driver is present or you meet the exemption criteria. unless a qualified supervising driver is seated next to you in the front seat or you meet the exemption criteria. have held an unconditional licence for the preceding two years (not a learner's permit, provisional or probationary licence) applicable to the class of vehicle being driven and not have been disqualified in the previous two years. 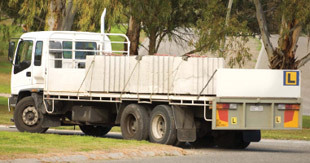 The licence held by the qualified supervising driver must not be subject to good behaviour conditions. If a passenger is carried on a motorcycle or in a sidecar by the holder of a learner's permit, the passenger must be a qualified supervising driver. The Driving Companion is provided free to a person when the learner's permit is issued. There is a fee charged for further copies. what's next - P1 & P2. 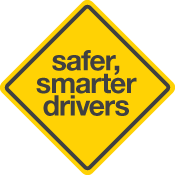 Road safety research shows that learner drivers need to get as much supervised practice as possible on their learner's permit under a variety of road conditions to develop the skills and experience needed for safe driving. The Learner Driver Log Book will help you track your progress during this important learning time. It is also designed to record driving practice under a variety of conditions. This includes exposure to more difficult driving conditions such as driving at night or in wet conditions. How long do I have to keep the log book? The log book is a record of your learner driving experience and provides documented evidence that you have completed the minimum of 75 hours driving practice and supervised experience. The log book must be submitted at a Customer Service Centre when applying for your provisional driver's licence. Keep it in a safe place. Who is required to fill it out? Your qualified supervising driver is required to sign-off the driving sessions as you complete them. You are required to record your driving practice sessions at the back of the log book. Your qualified supervising driver must sign off each practice session for it to be valid. Should the qualified supervising driver enter their licence details in the log book? Yes, the log book has sections for recording the time and date that the practice took place, the location, the road, weather and traffic conditions and the name, licence number and the signature of the qualified supervising driver. If I have a previous interstate learner's permit experience, can I record this driving experience into my log book? If you can produce evidence that you previously held an interstate learner licence/permit, the relevant qualified supervising driver may record previous driving experience in the log book. What happens if I lose my log book? The best way to avoid this situation is to take care of the log book to ensure that you don't lose it. Don't leave it lying around; get yourself a system to manage the things you need to do when you are learning to drive. There are lots of things that you will have to think about and plan for, simple things, like finding the ignition keys, putting on the 'L' plates, carrying your learner's permit while driving and looking after your log book. If you lose your log book, a fee will be charged for its replacement. If you wish to have your previous experience recognised you will need to have your qualified supervising driver(s) re-enter and sign any previous completed tasks and practice in the new log book. Otherwise you will have to start all over again! Anyone, including parents, friends or a Motor Driving Instructor who has held a full licence for two years or longer and has not been disqualified from driving in the last two years can teach you to drive. Does the qualified supervising driver get their own log book? No, the qualified supervising driver will record details in the log book issued to the learner driver. Can my parents still teach me to drive? Yes, any person who has held an unconditional licence for the preceding two years (not a learner's permit, provisional or probationary licence) applicable to the class of vehicle being driven may teach you to drive. 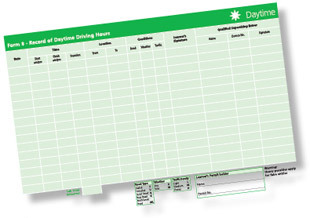 Remember to make sure you get that person to record the time spent driving in the Log book section of the Driving Companion after every practice. Is there a way I can do the log book electronically? You may choose to utilise an electronic learner log book app to record your logged driving hours instead of manually recording these in your Driving Companion. To ensure that electronically logged hours are accepted you should check that the app you are using offers a print out which includes the same information recorded in the paper version. More information on electronic log books is available here. There are two methods of obtaining your licence - the information below will help you decide which method is best for you. If you choose the Competency Based Training and Assessment method your task assessment sheets, pages 41 to 74 of the Driving Companion, will need to be removed from the book and handed to Service SA staff along with your log book hours and Certificate of Competency when you apply for your Provisional Licence. A person who charges a fee for teaching another person to drive MUST hold a driving instructor’s licence issued by the Department of Planning, Transport and Infrastructure. A driving instructor’s licence, which must be displayed by the instructor at all times when instructing, is only issued after the instructor has undergone extensive training. Motor Driving Instructors are re-assessed at regular intervals. A Motor Driving Instructor is able to teach you the knowledge and road craft skills necessary to obtain your licence. Some Motor Driving Instructors are authorised to conduct the practical driving test, or to help you obtain your licence through the ‘CBT&A’ system. A list of Motor Driving Instructors is available in the Yellow Pages Telephone Directory under ‘Driving Schools’. Make sure the instructor holds Professional Indemnity and Public Liability Insurance, and is qualified to deliver the driver training and/or licensing service you are seeking. There are two ways to qualify for your provisional licence. One option is to undertake and pass a practical driving test also known as a Vehicle On Road Test (VORT). The other is called Competency Based Training & Assessment (CBT&A). Whether you select the practical test option or the CBT&A method, the basic knowledge and skills you must achieve will be the same. Obtaining your provisional licence will ultimately be based on your ability to demonstrate competence in a number of selected and defined tasks. These range from an understanding of the major controls of a motor vehicle, completing certain slow speed manoeuvres, driving in busy traffic and at higher speeds, observation skills, and dealing with hazards. This system of driver assessment has been designed to be fair and consistent. Although a demonstration of driving skills is essential, the assessment will also examine your attitude to driving and to your fellow road users. During your VORT test or CBT&A lesson an Accreditation Auditor may accompany the instructor. The Accreditation Auditor will be there as an observer and will not participate in the training or assessment of your driving skills. you must have a current learner's permit when you are receiving instruction or undertaking the test. You must carry your learner's permit with you at all times when driving. The test will be conducted on an officially approved test route. In some cases, an Accreditation Auditor will accompany the instructor during the test. In order to continue to be authorised to conduct tests, instructors are themselves subject to regular re-assessment. The Accreditation Auditor will be observing the conduct of the test and will not participate in the assessment of your driving skills. At the end of the test you will receive either a pass or fail. If you fail you have a minimum of 13 days to practise before you are eligible to re-sit the test again. at any point during your training, you may choose to take a practical driving test (VORT) with an instructor rather than the Competency Based Training & Assessment (CBT&A) method. The task assessment sheets of your Driving Companion, will need to be removed from the book and handed to Service SA staff along with your log book hours and Certificate of Competency when you apply for your Provisional Licence. Regardless of which method you use you must record 75 hours of supervised driving experience, including 15 hours at night. Once you have passed the practical driving test (VORT) or successfully completed all the nominated tasks of the Competency Based Training & Assessment (CBT&A), you will be issued with a Certificate of Competency by the instructor. When producing your certificate of competency, you may be required to have a second driving test with a Government auditor prior to the issue of your licence. There is no cost for this test and if you are selected for this process full details will be given to you. This will enable you to obtain a provisional licence P1 from a Customer Service Centre providing you have also passed the Hazard Perception Test. Take care of your Certificate of Competency. Should you require a replacement because your Certificate has been lost or defaced you may approach the Authorised or Accredited Instructor who issued the original Certificate. Alternatively contact Driver, Training and Audit on 8374 5100. 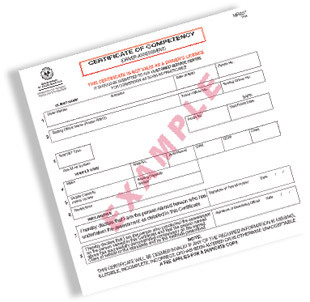 A fee may be payable for the replacement Certificate. The Driving Companion online and also from Customer Service Centres. Licence holders wishing to upgrade their licence to a higher class may undertake tuition on their current licence only if they have held the prerequisite licence class for the minimum prescribed period. A learner's permit is not required, but the licence holder must comply with all learner's permit conditions. e.g. display learner plates. 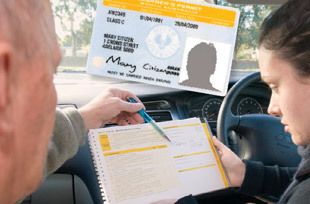 In special circumstances where the Registrar of Motor Vehicles has granted an exemption from the minimum driving experience requirements, such as the Training In Lieu of Experience (TILE) Course for class HC, the learner driver is required to obtain a learner's permit on payment of the prescribed fee.